The 2017 World Cup kicked off last week in Shanghai, China. 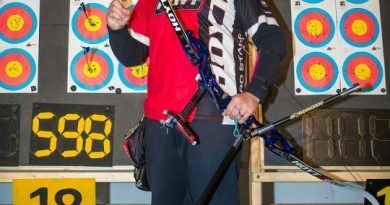 Team Hoyt shooters wasted no time in laying claim to the highest step on the podium, winning a full 9 of 10 events with Hoyt equipment. 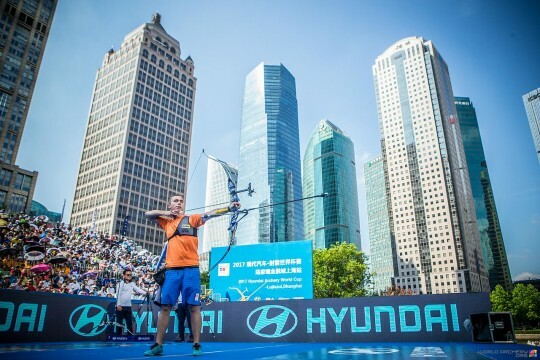 Shanghai makes for an intimidating stage, but Steven Wiljer (NED) was right at home. It’s no small feat to defeat a reigning Olympic Champion and World/Olympic Record Holder in a gold medal match. Its even more impressive to take the match 6-2. But to do so in your own World Cup debut is simply phenomenal. 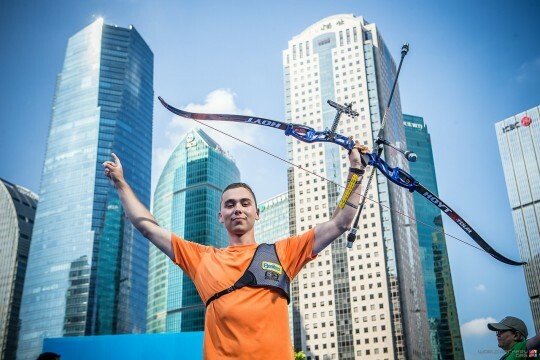 Steve Wiljer of the Netherlands did just that, throwing his hat into the World Cup arena, and quickly earning a name for himself. Steve Wiljer (NED), World Cup Stage One Champion. Also of particular note is Sarah Lopez’s (COL) historical hot streak. 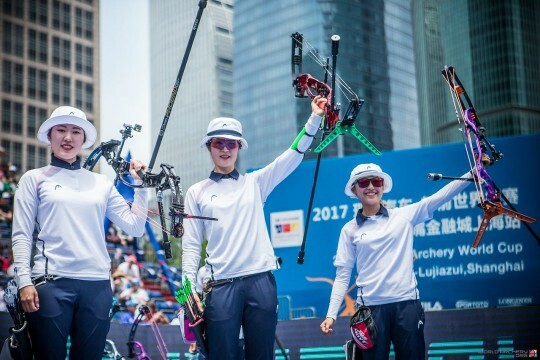 Her win in Women’s Compound made for her 3rd straight Shangahai gold medal and 5th straight World Cup win, pushed her her undefeated streak in World Archery matches to 28, and further strengthened her position as the longest reigning World #1 in history. 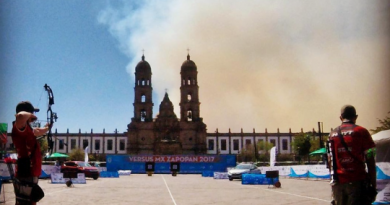 Sarah Lopez (COL) continues her historical run. 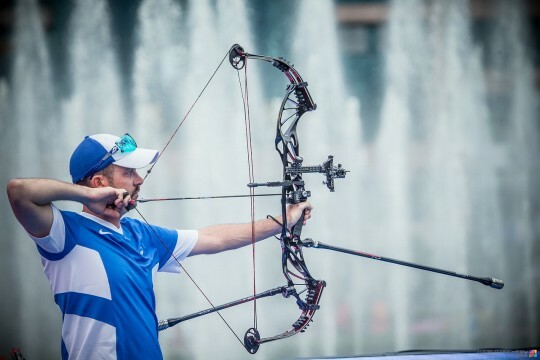 In addition, PJ Deloche (FRA) and Pat Coghlan (AUS), both returning to the World Cup stage after brief absences, jumped immediately back into medal-earning form, earning silver and bronze, respectively, in Men’s Compound. PJ Deloche (FRA) at full draw on his way to silver in Men’s Compound. 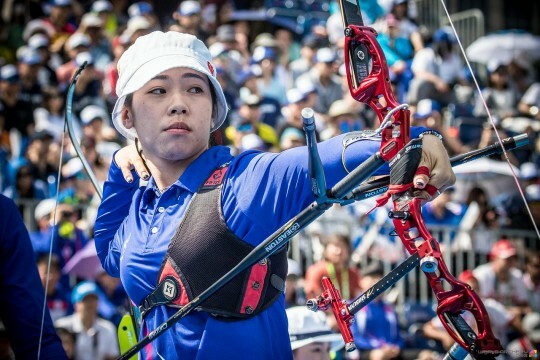 Congratulations are also in order for reigning Olympic Gold Medalist Ki Bo Bae (KOR) who secured gold in Women’s Recurve with her Hoyt GMX riser, the Republic of Korea team who took gold in Women’s Compound and Mixed Team Compound with Hoyt bows, and the teams from Kazakhstan, Russia, India, and Chinese Taipei, composed primarily of Hoyt Shooters, on their gold medal performances. 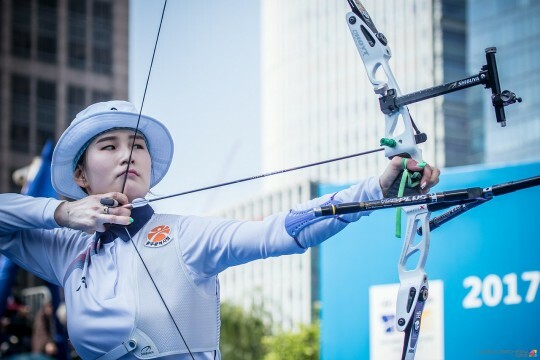 Ki Bo Bae (KOR) on her way to gold in Women’s Recurve. The Korean Women’s National Team strikes a victory pose after winning gold in the team category. 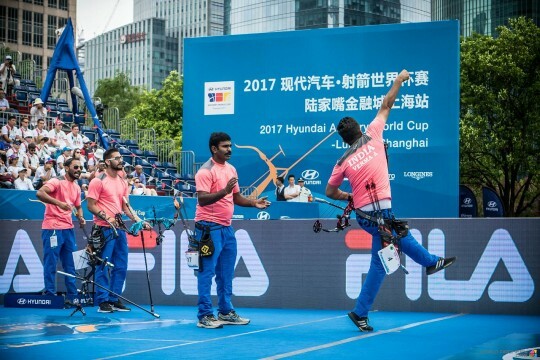 Verma, from the India national team celebrates their team win in Men’s Compound, their first ever team gold. 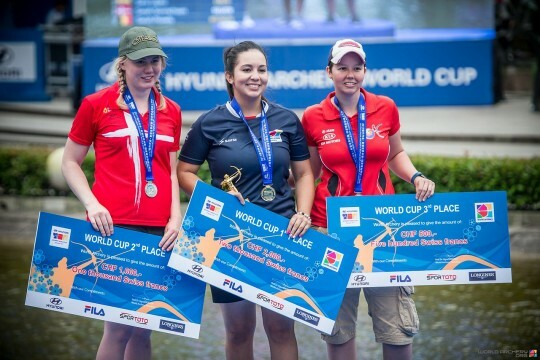 Tan Ya Ting (TPE) follows through as she leads team Chinese Taipei to gold in Mixed Recurve. 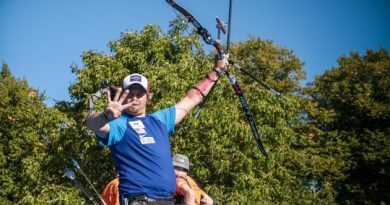 Congratulations to all of these Team Hoyt shooters on their remarkable performances, as well as those whose performances earned silver and bronze medals. Stay sharp, and best of luck in upcoming competitions. Get Serious. Get Hoyt.